Win a medal at Wembley. 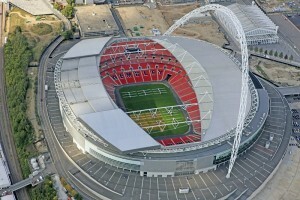 Fancy running in Wembley Stadium this year for us? On 15 March the North London Half Marathon will be started by double Olympic Gold medallist Mo Farah, and you can be in it. We have just 5 places in this special event. 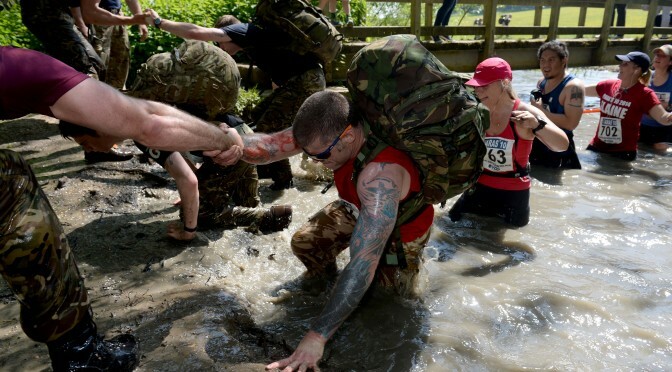 We need you to raise £300 for SUPPORT OUR PARAS. Interested? Email secretary@supportourparas.org to get registered. The Vitality North London Half Marathon takes you on a tour of North London and sees you cross the finish line in a celebratory stadium finish in front of thousands of cheering spectators! Join us on Sunday 15th March 2015 for the first Vitality North London Half Marathon. The race starts from Allianz Park in Barnet, home of the Saracens Rugby Club and takes a route through the leafy streets of North London all the way to Wembley Stadium. 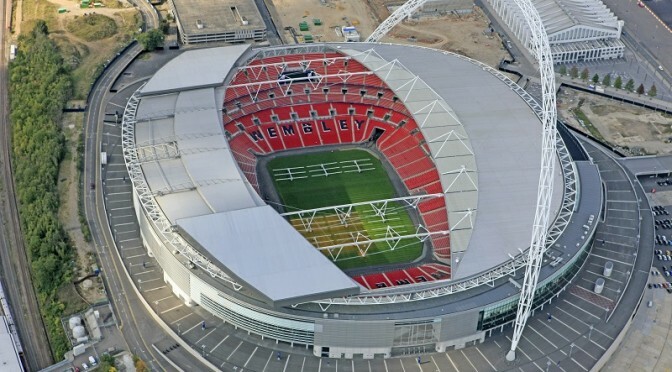 Runners will run the length of one of the most famous stadiums in the world! The race then returns to Allianz Park to an epic stadium finish and your well-earned winner’s medal! A new book by a veteran original Para will help to support his modern day equivalent. The charity will receive the profits from sales. You can buy copies online. 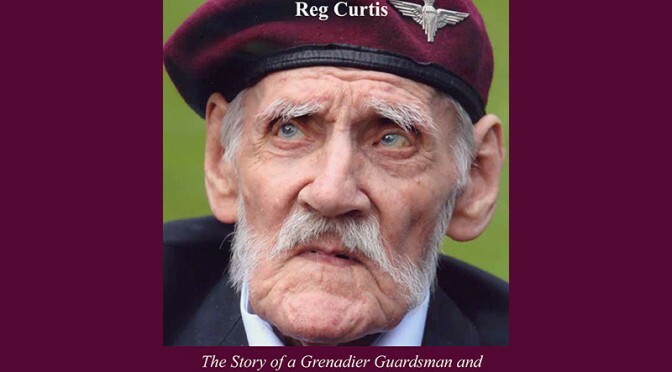 When Reg Curtis enlisted with the Grenadier Guards in 1937, little did he know that two years later Britain would be plunged into the Second World War. Reg found himself fighting for King and Country in France and Belgium as part of the British Expeditionary Force and along with 300,000 other men was evacuated from Dunkirk in May 1940. Winston Churchill called for a new type of fighting soldier and Reg volunteered for commando and parachute training, one of the first 500 men who formed No. 2 Commando, later renamed the 11th SAS Battalion. The training was intense and the techniques new and as yet untried. By the time they saw action the Battalion had again been renamed, and this time the name would stick: The 1st Parachute Battalion. At Arnhem, in September 1944, Reg was shot and lay on his back as the battle raged around him for six days and nights. He was taken prisoner and his right leg amputated. 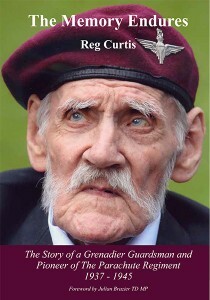 Our thanks go to Reg, to Geoffrey Holland and Pilots Publishing. 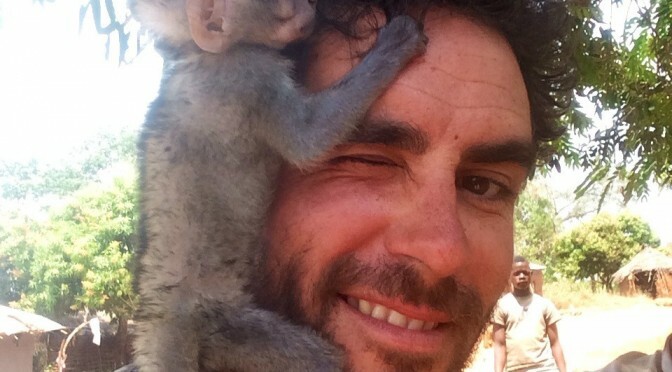 On Channel 4 at 2100 Sunday 4 January, ‘Walking the Nile, features former 3 PARA officer Levison Wood. 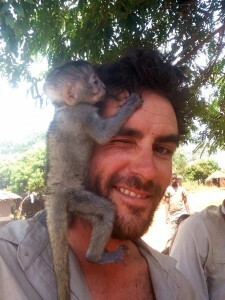 Since visiting Africa as a child Lev’s been obsessed by this vast continent and dreamt of exploring it. ‘Walking The Nile’ was the most ambitious and daring expedition he could think up – a world first that would take him through rainforests, deserts, cities and war zones in some of the most spectacular locations on earth. With a degree in History, Lev set off on a number of journeys along the Silk Road, before returning home to join the Parachute Regiment, serving in Afghnistan. In 2010 he left the army and worked for a charity project delivering ambulances from London to Malawi. Since then Lev has pioneered expeditionary travel in a number of post-conflict zones and remote areas. He has worked in over eighty countries and led teams across every kind of terrain and environment. 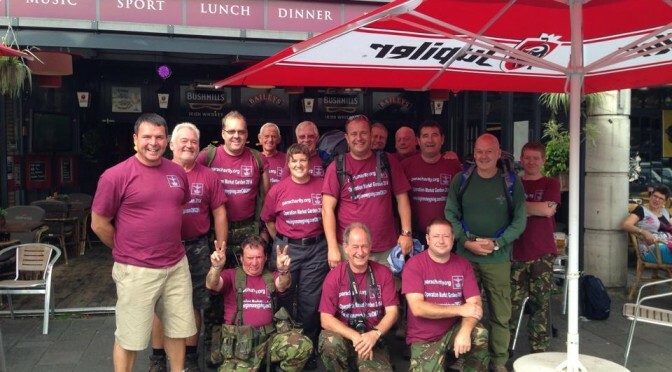 The PARAS’10 is a great way to SUPPORT OUR PARAS in 2015. Events at Colchester 4 July and Catterick 6 September. Run it or ‘tab’ the 10 miles the Para way in boots and 35lb Bergen. Enter as an individual or Teams of 4 welcome to either run or tab – best 3 times count. All proceeds go to SUPPORT OUR PARAS but the real magic happens when you raise funds for us – it’s a real ‘force multiplier’. You can of course run for your own charity choice, but we would love it if you can raise funds for us. On 17 September 1944, the plan devised by Montgomery to end the war by Christmas commenced, flying 35,000 US, Polish & British paratroopers 63 miles behind German lines in an attempt to capture with “thunder clap surprise” the bridges between Lommel in Belgium and Arnhem in Holland. To commemorate the 70th Anniversary, and to SUPPORT OUR PARAS the ‘Bricklayers Arms Troop’ from Stondon Massey, Essex undertook a sponsored75-mile march in memory of the soldiers who did not return, crossing each of the nine bridges during their five day route march.